We all know that our oceans are under siege, big time! Some of the issues facing our oceans are difficult for us to solve, some require a complete life style change. The good news is that there is one thing we can all do from the comfort of our computer screens and that is changing the type of sunscreen we use. Actually it’s a no brainer if you are a scuba diver. Why is changing your sunscreen a “no brainer” for divers? Well that is because reef safe sunscreen such as Reef Repair are no more expensive than regular brands and they simply do not contain toxic chemicals that kill coral reefs! Traditional ingredients in sunscreen have been proven to cause significant harm to coral reefs and with an estimated 4 – 6,000 tons washed annually into our oceans. That is another pressure our reefs don’t need right now. Hawaii has recently passed a bill to ban the sale of sunscreen containing Oxybenzone or Octinoxate. Both are a common synthetic ingredient in sun creams and other beauty products. 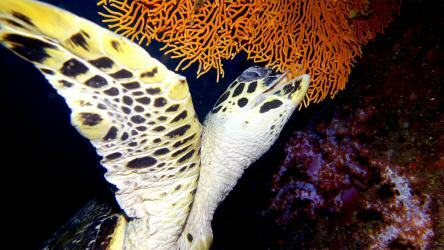 These chemicals are known to cause a variety of complications in both humans and corals. So what harm do they do? Sounds bad? well we’re just warming up… some studies suggest that octinoxate may cause genetic mutations! Not just in coral but also fish and mammals. Don’t get excited, you’re not going to turn into the Wolverine by slapping it on, quite the opposite. The potential mutations could cause reproductive diseases, body and organ deformities, liver defects and even cancer. Nothing’s absolutely proven but the potential is enough for me to not want this stuff anywhere near my skin. Especially when there are safer, reef safe sunscreen alternatives available. Governments don’t ban things readily but with Hawaii looking to sign off on the bill and Sweden and Japan already have banned the use of these ingredients in many products it does make you think that there must a decent amount of evidence to suggest you should be avoiding these chemicals for your own sake as well as the oceans. Both Can Only be Described As Toxins, So Why Use Them? Chemical sunscreens rely on these ingredients to absorb the harmful UVA and UVB rays that cause sunburn and heighten the risk of skin cancer. To be fair they’re both FDA approved up to a certain percentage in the products that contain them. Less harmful ingredients such as zinc and titanium oxide physically block the those devilish rays without the chemical reaction that’s happening with the bad guys, there really is no need for them. Read the label and make a choice is all you have to do. Select sunscreen products without the damaging ingredients but do make sure you do use sunscreen and in an effective manner. As a rough measurement a shot glass full of lotion is the minimum you require to affectively cover your whole body. Reapply at least every 2hrs* with a SPF 30+ (which is what you should be using) and more if you’ve been swimming or sweating like a pig. Remember to apply at least 15 minutes before exposure – in your hotel room before pick up would be the best time. In the morning safety briefing our tour leader will warn the guests to be careful in the tropical sun especially on the upper sun deck. 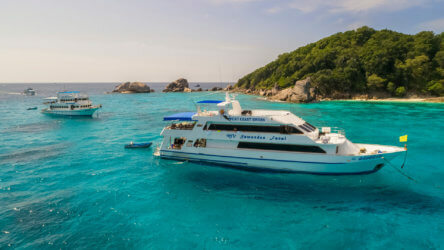 We still see plenty of pink passengers wandering around our Phuket dive tour boat. Blissfully unaware of how horrible it will be pulling on a wetsuit the next day. I’ll Be OK In The Shade? Not necessarily, the harmful UVB rays don’t travel in a straight line like normal light rays. They bounce around the atmosphere and so can get at you even in the shade, they’ll also reflect of shiny surfaces. You can’t see UVB rays so visible light is not an indication to how much you’re being exposed too. A better way to gauge exposure is by how much blue sky you can see. If you’re sat on the beach under a single umbrella, you’ll still be able to see plenty of sky and so you’re still being exposed to plenty of UVB. If you have a beach sun shelter which covers at least three sides then your exposure is drastically reduced. So remember to apply a reef safe sunscreen even if you’re in the shade. Local Dive Thailand likes to support local businesses. Partly because that sounds catchy but mainly because we get to find out all the inside details and procedures that are used to make the product. So we know about all the hard work that has produced an excellent product and been certified by the relevant authorities in the EU. 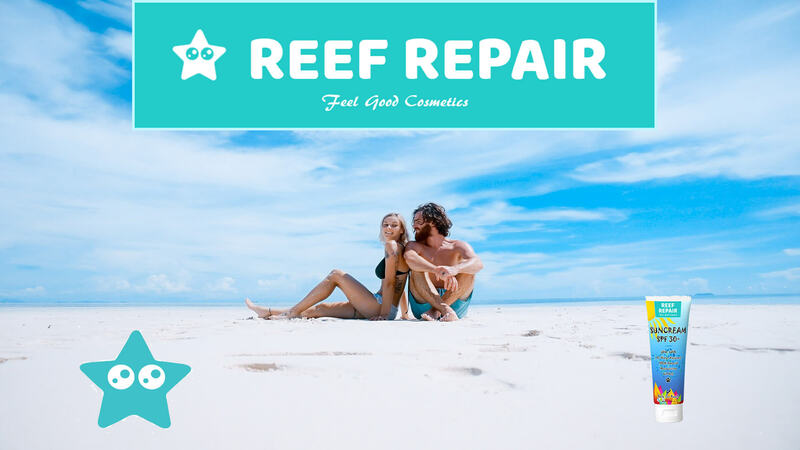 Reef Repair ticks all the right boxes for a reef friendly sunscreen that will protect you from sunburn, the reefs from harm and won’t put a dent in your holiday budget! Posted in Scuba Diving Health on July 1, 2018 .